We sat next to each other on the sofa, holding hands. I think we were both sure that this would be the last time we would be together, and every second of every minute mattered. We were lucky that we got the opportunity to say all we needed to say to each other. Others don’t get that chance. I never forgot the promise I made. I was (and still am) determined to fulfill it. That was the last time I saw my daddy alive. My daddy. My hero. He lived courageously and with great dignity for the last 12 months of his life after being diagnosed with oesophageal cancer. He was only 54 years old. My daddy, taken away far too early. 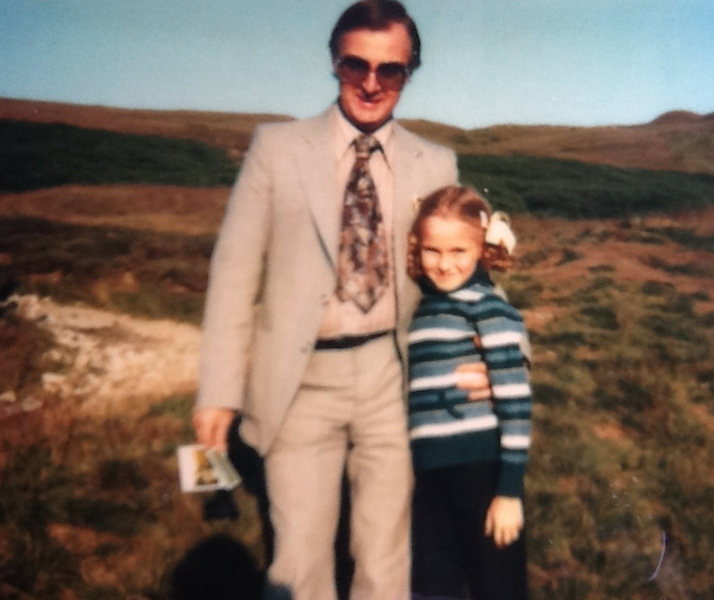 Taken before he ever got the opportunity to know me as an adult and to know his only granddaughter. It just wasn’t fair. And it still isn’t. As time went on, I endeavored to fulfill my promise. Sure, I made mistakes along the way — plenty of them. But that’s human nature, I guess. I studied hard, graduated from university and became a professional. I got married and (eventually – long story!) had a baby. I wished he was here to see all of it. I wished he’d been at my graduation ceremony, to give me away at my wedding, to meet his only granddaughter and so much more. He would have been so proud — I have absolutely no doubt. He most definitely would have been the proudest Grandpa and probably would have spoiled Hannah rotten. But I think that’s somewhere in the job description of being a grandparent. I realize now, however, that while studying hard, striving to get a good job and so on, is all well and good, my biggest achievement was becoming a mummy. Add to this the title of “Special Needs Mama,” and this has become my biggest challenge so far. But it’s one that’s been worth flipping our world upside down for, even with all the stress, the trauma, the sleepless nights and everything else. Because I have my girl — my wonderful, precious, quirky, scrumptious kid, who makes my heart sing just to look at her. I make mistakes, but I’m just trying to do my best. That’s all I can do. I’ll always cherish the time I had with him and I hope that wherever he is, he knows that I’m still trying and that he’s proud of the person I’ve become. You’re always in my heart, Daddy. The Mighty is asking the following: What’s a memory with a loved one that you didn’t realize meant so much until they passed away? If you’d like to participate, please send a blog post to [email protected] Please include a photo for the piece, a photo of yourself and 1-2 sentence bio. Mykidlovesbroccoli.wordpress.com charts the journey and adventures of Hannah, who has a rare genetic syndrome called Cornelia de Lange syndrome, but whose favourite food is broccoli (hence the title!) and the experiences and observations of her extraordinarily proud mama – who isn’t a writer by any means, but just wanted to “have a bash” at blogging.